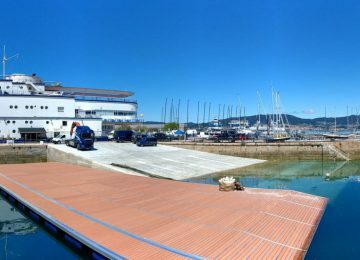 Third sunny day in a row for this 2018 Laser Master European championships at Vigo, Spain. Competition on water started today as per scheduled. 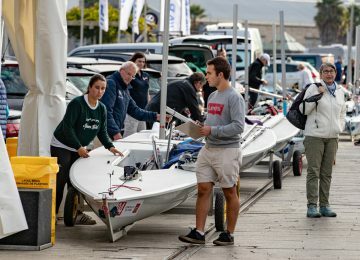 Two first races were played under shifty winds of around 12-15 knots. 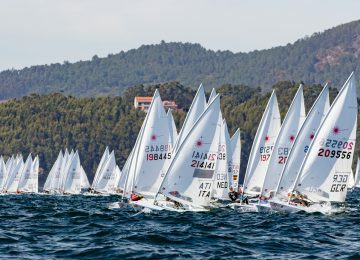 Grand Master sailor Alan Davis GBR (3-4) started leading the Laser Standard fleet overall with 7 points, followed just 1 point behind by Spanish sailors Alfredo Vazquez ESP (6-2 / 2nd GM) and Carlos Echavarri ESP (5-3 / 1st Master). Roger Schulz GER (4-5 / 2nd M) and Jordi Capella ESP (9-1 / 1st Apprentice) are ranked 4th and 5th overall among the Standards. 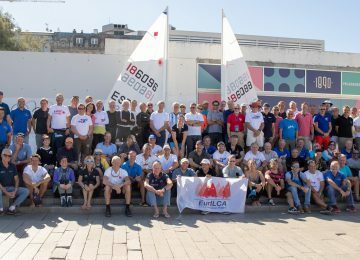 German sailor Wolfgang Gerz GER (15-7) is first among the Great Grand Masters on place 9th with 22 units. 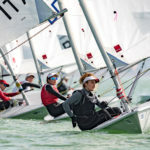 Laser Standard provisional results here. 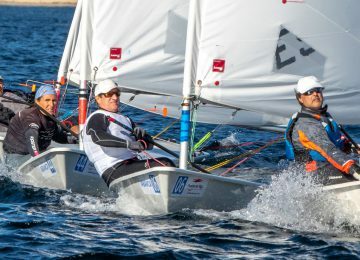 Laser Radials are also led by British sailors; Jon Emmett GBR (1-1) heads AM and overall rank with perfect score, escorted by Ian Jones GBR (2-2) and Rob Cage GBR (4-3), both leading Master and Grand Master categories respectively. Mike Kinnear GBR (17-8) is Great Grand Master provisional leader and ranked 10th overall. Monica Azon ESP (22-13) heads women’s competition on 15th. 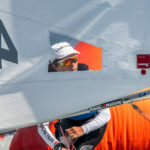 Legend sailor Jacky Nebrel FRA (20-30) is on first half of fleet and ranked 26th overall. 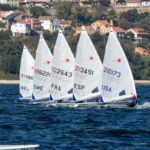 Laser Radial provisional results here. Races will continue tomorrow and until Thursday 11th. 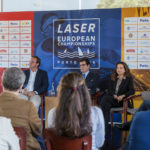 Don’t miss the Laser Master’s European action and follow us on Facebook, Twitter and Instagram. 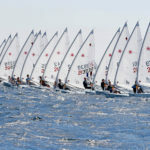 2018 Laser Master Europeans photo gallery here.